Home / Blog/ General Tech News/ Playstation 4/PS4 Faulty? Here we discuss the common faults that we fix. What’s wrong with my PS4 and why? There are a whole range of things that can go wrong with a Playstation 4 and it’s not always down to user error. The more cynically-minded of us may point the finger at the almighty Sony bosses trying to make a quick quid from us mere mortals by manufacturing consoles that fail over time. Here is an interesting read from the Telegraph if you want to find out more. This is a biggie! We receive more PS4s needing new HDMI ports than any other console repair. In fact, they make up 38% of all PS4 repairs booked in with us. So why does it happen? The ports themselves are of spider-web fragility; left undisturbed they are brilliantly effective, but even a small knock can render it completely useless. If the console has been dropped with the HDMI cable attached or the cable has been yanked out, the pins can easily get bent or broken. Another telltale sign of a faulty port is when it sits loosely in the casing, so give it a little wiggle to check if there may be an issue. To repair this fault we carefully strip the console down to the motherboard, de-solder and remove the old HDMI port, clean up the board and prep the solder pads for the new port. We then solder the new HDMI port in its new home. To finish, we have a game on FIFA to see who is buying the first round of drinks on Friday. Ultimately, it comes down to a dodgy APU-to-motherboard connection, but the causes of the fault aren’t as clear-cut as with other issues. One of these is the use of lead-free solder in modern computing; not to bore you too much with the details, but this has come about due to the EU agreeing to the catchy ‘Restriction of Hazardous Substances Directive’ or RoHS for short, in 2006. Much has been documented online about how lead-free alloys are not as durable as leaded solder, perhaps an exciting read for another occasion. The APU is bonded to the motherboard by a grid of tiny solder connections and, over time, the solder connection deteriorates through heat stress, which means any drops, knocks, hits or rage quits can cause the solder connections to break. Despite its rather morbid-sounding nickname given by the over-imaginative gaming community, this issue is fixable and does not have to mean ‘death’ for your PS4. This is our silver medallist for PS4 repairs and is the annoying offspring of the yellow light of death that was seen on PS3s. The infamous pulsating blue light is the most documented symptom of this issue, but tripping power and distorted graphics are also related to the same fault. BLOD can rear its ugly head when PS4s are poorly ventilated. Keeping them in sauna-like conditions is not too healthy for consoles and we have seen that something as simple as moving a PS4 out of a TV cabinet, away from a radiator or out of the fires of Mordor can allow the console to run like normal. To fix this issue we use a controlled machine that remelts the solder and straightens the motherboard so the connections are reformed. We then do our bench testing to make sure that PS4 is fully revived from the brinks of death. So is it laser or drive mech? Well there are couple of clues that we can use our Dr. House skills to diagnose where the problem lies. 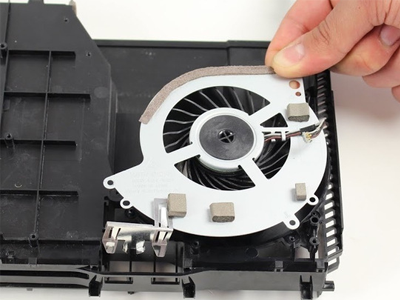 Most PS4s have two separate laser diodes inside them; one reads DVDs and the other Blu-rays and disc-based games. If you pop in a DVD and it reads it, but it’s not reading games, then the issue is almost definitely with the laser. All disc-based consoles use lasers to read discs and, consequently, a faulty or damaged laser means discs may not play. Lasers wear down with use. It’s happened in previous consoles and we have no doubt that it will continue to happen in future devices. Alternatively, laser damage may be caused by a knock or drop-kick. A spinning disc in a tumbling console can make contact with the laser and sometimes results in a circular scratch on the disc. You can ignore the rumours, because this is not a burn mark! To fix this, we first double check the drive mechanism to check that’s all intact. Once that’s been given the all-clear, we replace the whole laser assembly and do some gaming to confirm everything is working well. Sometimes, a fault, commonly known as ‘ghosting’, develops where it seems like the PS4 is randomly pressing the power and/or eject buttons. As you can imagine, ghosting can be incredibly annoying when you’re thrashing your mates online. So why does it happen? 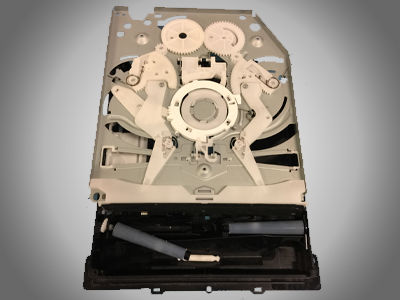 It can be caused an electrical fault, a case of dust around the contacts or an act of the paranormal.The drive mechanism or disc drive can easily be damaged by over-enthusiastic use. Multiple discs, playing cards, coins and food are the most common things we’ve found inside consoles. Misuse can dislodge and break the mechanism and cause problems with inserting and ejecting discs. A hit or fall can also cause damage to the mechanism resulting in trapped discs and reading errors. If you can hear a grinding sound coming from inside the mech, then this is the repair you need. To fix mech or ghosting issues, we first open up the PS4 and have a nosey to see what is causing the issues. We then adjust, repair or replace the appropriate components and, if needs be, we can replace the whole mechanism. “I’m waiting for it to get going and am just stuck in a seemingly endless loop!” No, I’m not referring to season 3 of Lost, but a fault that can develop with the firmware on the PS4. Many customers report being stuck in an update loop or seeing a message about installing firmware using a USB stick. This can happen for different reasons but the most prevalent is a bad update or game save; if there was a WiFi drop or power cut during an update, then this fault can develop. 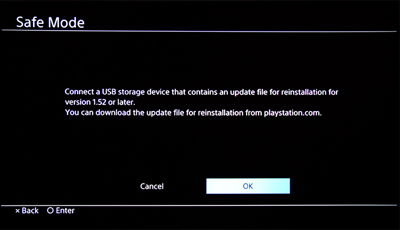 The PS4 is searching for files that were never downloaded and as a result will not initialise as normal. What’s the fix? We reinstall the firmware from scratch. This usually keeps your saved game data unharmed, but if the firmware damage is quite serious then a full factory reset may be required. If your PS4 fan is roaring louder than Katy Perry on bonfire night, then this could well be the option for you. The console regulates the heat of the motherboard and, if it’s getting too hot, the fans will work harder and can end up sounding like jet turbine. Overheating can be caused by a build-up of fluff, animal hair and, if you’re a smoker, tobacco can collect inside your console over time. We service your console by cleaning out the muck lodged inside and reapplying thermal paste. This can help the system to run smoother, however it may be worth considering if you need the BLOD repair as overheating is often an early sign of APU chip issues. This fault can also present itself in a similar form as the aforementioned Blue Light of Death, but there is a slight difference in symptoms. With a PSU fault the console may cut out but you cannot turn the PS4 back on again unless you unplug it from the mains. No lights, no sounds and no signs of life. Even if your console is completely flat lining, it can still be repaired. The main cause of this is a faulty power supply unit (PSU). Believe it or not, a lightning storm or any other power surge can cause damage to the PSU. So how do we fix it? We will swap the PSU for you and do a full test to make sure it’s fully-functional. So what causes this issue? 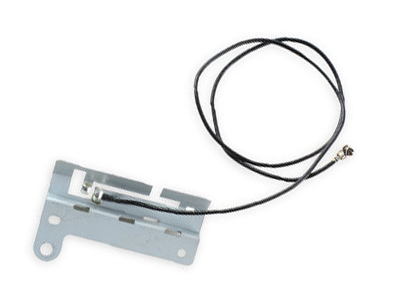 A knock can cause the WiFi and Bluetooth antenna to become dislodged or torn. Alternatively, an electrical fault can result in a faulty Bluetooth or WiFi module. If you’re struggling to connect the PS4 to your WiFi or to your controllers then this is the repair you need. 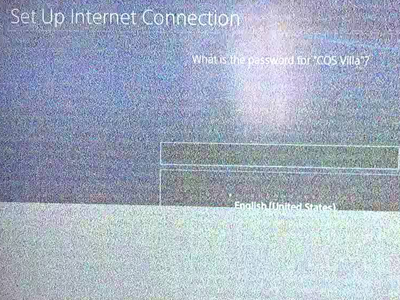 Step one: check that it’s not a fault with your router, controllers and/or USB cables. Step two: double check this. If you’re still not having any luck, then the fault likely lies with the PS4. 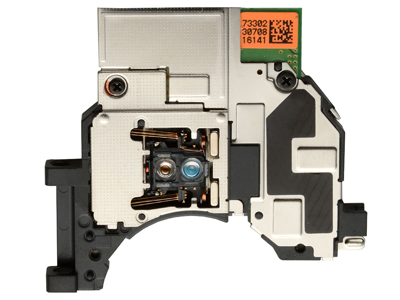 We can replace or repair the modules and antenna to make sure the PS4 is back online and connecting to controllers too. We play an online game to check if everything is working properly. What is this and why might it be faulty? This chip is the one in charge of processing information from the motherboard and sending that information in the form of a signal through your HDMI port to your telly. We are seeing this more and more as time goes on, which has lead us to believe it’s an age-related chip failure. Further, we have seen a correlation of consoles with this fault and customers who regularly swap the HDMI cable in and out of the PS4 port. If this chip is defective, then you may see a whole rainbow of resulting symptoms. 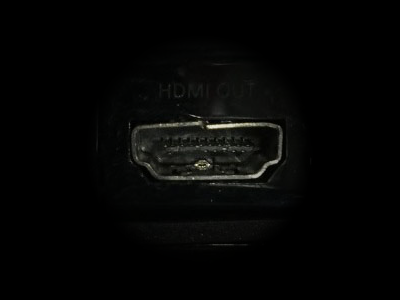 A red, blue or snowy TV output or picture resolution issues are the most common signs of a faulty HDMI IC chip. Despite many fearing the complexity of this repair, GamerTech are proud to offer a lending hand. The HDMI Controller IC Chip is covered by a shield on the motherboard so we need to carefully remove this. We de-solder the defective chip from the motherboard and solder in a new chip and carry-out our normal testing i.e. play games at work! That’s your lot! Above is a summary of the most common PS4 repairs that we see at our repair centre. I hope it’s been helpful for diagnosing faults with your console and determining what (or possibly who) might be to blame for those issues. Fault not listed? We like a challenge, so call us anytime on 0845 0041 007 to rack our brains and see if your treasured PS4 is repairable. P.S. Please leave comments below and share this post so that I get a pay rise!